Posted on January 22, 2018 by Curt S.
Trees grow and grow, and can reach incredible dimensions. They are tall, heavy, and subsequently, dangerous in the case that one were to fall over. Trees are vital parts of our surrounding landscapes and eco-systems, however, they can also pose several safety threats if not properly maintained. A fallen tree can damage anything in its path, including vehicles, buildings, homes, patios, bridges, powerlines, telephone poles, man-made structures, landscaping, and more. It is important to know what a dangerous tree looks like so that you can prevent serious and costly accidents. 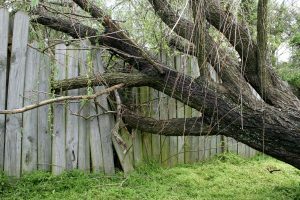 Continue reading to learn the signs of a tree that has a high risk of falling, and who to call for trusted tree removal service near you. Leaning Trunk – The most obvious sign that a tree might fall over is if it is leaning to one side. This blatant indication of imbalance is a forewarning that something is not right with the tree. This makes the tree a hazard, and it should be removed as soon as possible. Something as minor as a windy day can cause it to finally topple. Increased Wildlife Activity – A hole in the tree trunk is a great place for wildlife to take shelter, including birds, squirrels, chipmunks, and more. However, too much wildlife activity can be a sign that a tree is not as healthy as it could be. This is especially true with insects. If you notice an increase in bugs, it could be a result of a sick or dying tree. Trunk Cavities – Many times, a tree will self-prune and drop branches from the trunk. This causes holes in the trunk, which then lead to tree decay, pest infestation, and wildlife activity. However, according to the United States Department of Agriculture Forest Service, as long as there is enough wood surrounding the hole, there is a good chance the tree will not fall. Rotting Roots – Root rot is a common tree disease that occurs as a result of several factors. And unfortunately, it is hard to spot. Look to the base of the trunk for signs like excessive or sudden mushroom growth or moist bark. Fungi growth generally implies that the tree is rotting from within, which puts the tree in an incredible unstable condition. Also look at the leaves. When a tree loses leaves from the outside in, it is a sign that something is wrong with the root zone. 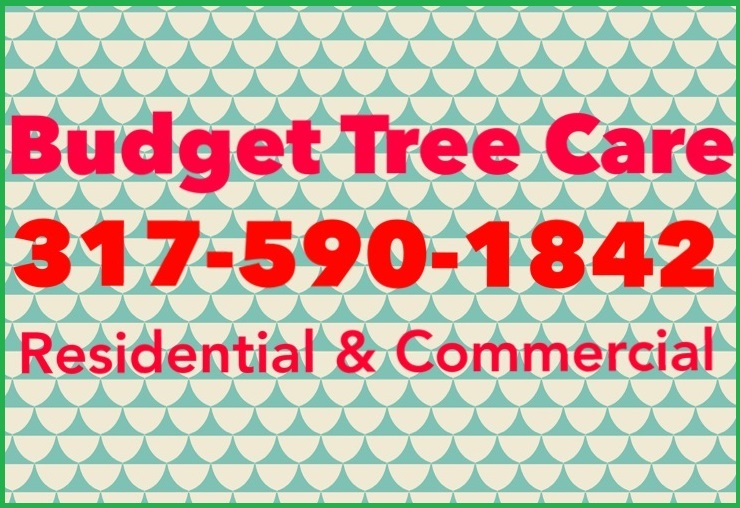 Call Budget Tree Care at 317-590-1842 for professional tree removal in Indianapolis, Indiana. 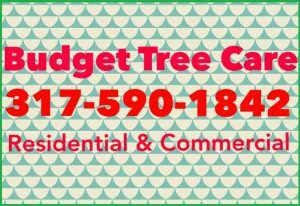 We offer residential and commercial tree service, including tree removal, tree disease treatment, tree pruning, lot clearing, and more. We also offer senior discounts and competitive prices! Call 317-590-1842 to request a free estimate, today. This entry was posted in Tree Removal and tagged dead tree removal, Indianapolis tree removal, leaning tree removal, oak tree removal, signs falling tree, tree fall over. Bookmark the permalink.